The transition from collected objects to stored files creates new possibilities as well as new problems. Every second the amount of data accumulated in the “infinite archive” of the Internet increases; everything seems to be accessible via streaming at any time. 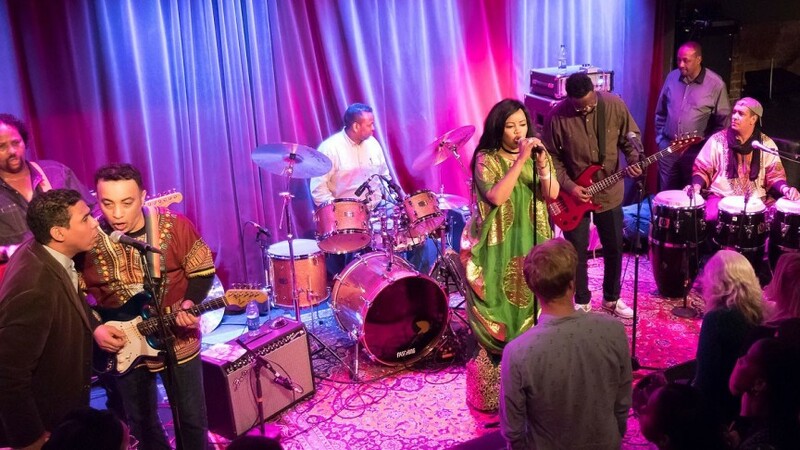 Concerts with Femi Kuti & The Positive Force, Dur-Dur Band International, DJ Raph, Baba Commandant, Tellavision & Derya Yıldırım, DJ /rupture (a.k.a. Jace Clayton), Bernadette La Hengst, Stella Chiweshe, The Zonke Family & Stefan Franke, Aérea Negrot, Olith Ratego & Chor der Kulturen der Welt, Alan Bishop, Hayvanlar Alemi and many more Talks with Jace Clayton, Diane Thram, Simon Reynolds, Cornelia Sollfrank and many more. 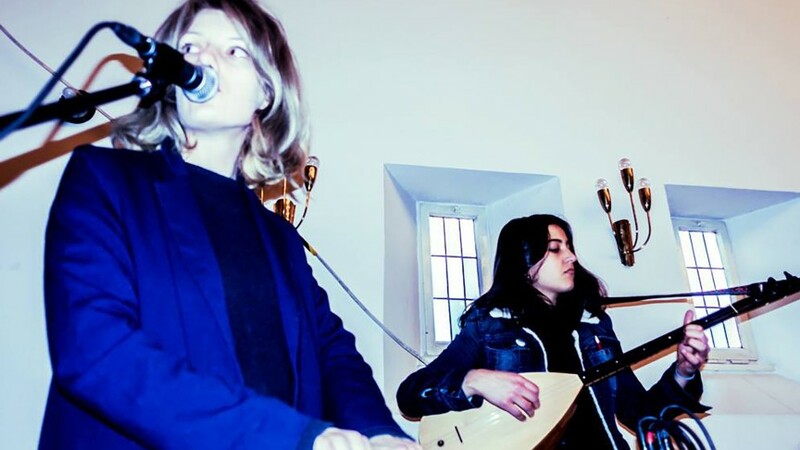 The festival opens with four commissioned works by Berlin musicians: Aerea Negrot, Tellavision & Derya Yıldırım, Bernadette La Hengst and Barbara Morgenstern with the Chor der Kulturen der Welt and Olith Ratego have worked with found sounds from digital archives, research volumes and old band videos. The non-dogmatic reissue label Sublime Frequencies presents the rhythm psychedelics Hayvanlar Alemi and the Mandingo band led by Baba Commandant; label founder Alan Bishop then plays Indonesian singles. The preservation of collective musical memory is a particularly urgent matter in many African countries. Many recordings are stored in German museums or American universities. DJ Raph from Nairobi awakens such material from its slumber of conservation. Radio Mogadishu’s unique archive battles for digital survival: Its tapes are crumbling since the civil war, thus risking the loss of evidence of Somalia’s vibrant music scene. Dur-Dur Band International revives their golden era of the 1970s and 1980s at HKW. Also, footage about the Afrobeat icon Fela Kuti recently found in an Italian private archive raises questions about selection and accessibility. The fragments can be seen for the first time in an installation by filmmaker and photographer Armin Linke. 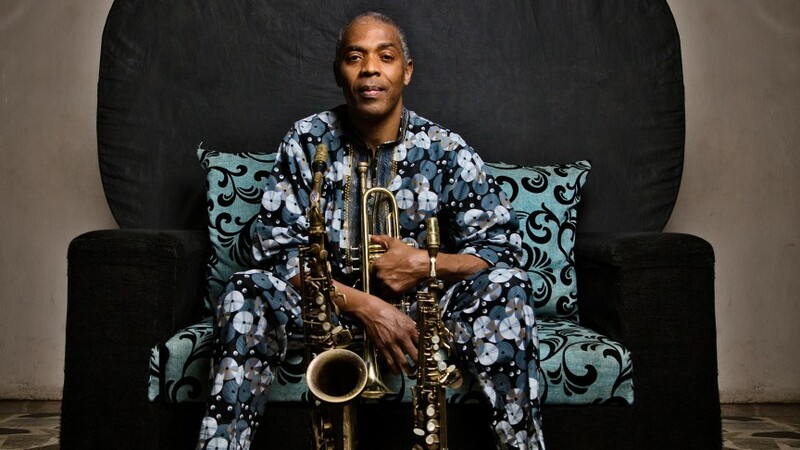 Saxophone virtuoso Femi Kuti has commemorated his father and the entire Afrobeat movement with his club, the New Africa Shrine in Lagos. He also pays tribute to this musical heritage live with The Positive Force. A broad discourse program including contributions from the artist, author and DJ Jace Clayton, music ethnologist Diane Thram, Retromania author Simon Reynolds and artist Cornelia Sollfrank discusses the core issues and problems that collecting, storing and reactivating music entail. A network meeting gathers operators and employees of counter archives and special collections to get to know each other, exchange ideas and identify common problems: What counter-narratives and enlargements of official narratives are conceivable?